One Washington state lawmaker wants election ads by political-action committees to display a kind of warning label that would include logos of top corporate donors. 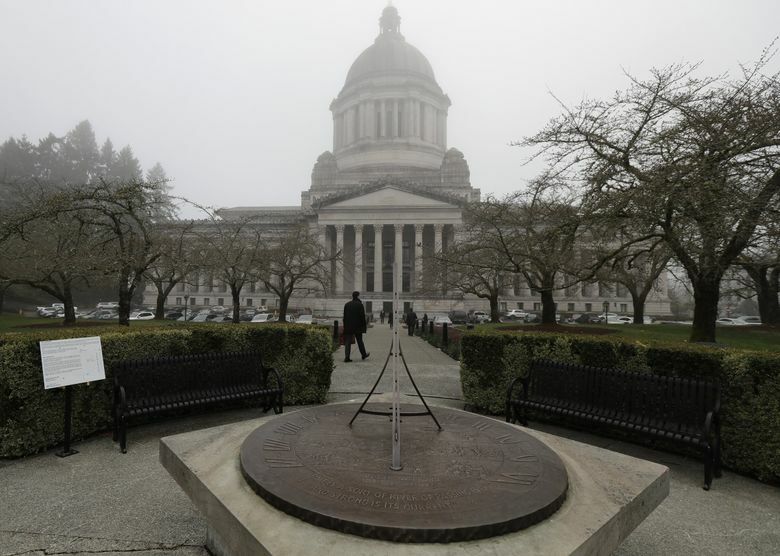 Sen. Reuven Carlyle, D-Seattle, said he plans to push such legislation in light of the $46 million in corporate money spent so far this year on a pair of Washington ballot initiative campaigns. “When you watch TV ads on a pharmaceutical drug, half the ad talks about the risks,” said Carlyle. “And we have a right at the state level to do very aggressive transparent disclosure” on campaign ads. This year, soft-drink companies such as Pepsico and Coca-Cola have spent more than $20 million on Initiative 1634, a ballot measure geared toward stopping Seattle’ soft-drink tax from spreading to other cities. I-1634 would not roll back the Seattle tax, but would block other Washington cities from enacting similar laws. It would also bar any increases in Seattle’s law above the current rate of 1.75 cents per ounce. A campaign seeking to defeat Initiative 1631, which would set a fee on carbon emissions, has raised nearly $26 million, largely from oil companies. On Tuesday, Carlyle and others opposing I-1634 announced a new push in Olympia to make sure citizens know who is funding the seemingly endless parade of election-season campaign advertisements. In response, a spokeswoman for the campaign said they follow all the current disclosure laws, both in practice and in spirit. According to Carlyle, the plan is to bring back a version of Senate Bill 5108, which would block political-action committees from getting 70 percent or more of their contributions from another single political committee, or a combination of such committees. The idea is to limit so-called “nesting doll” practices — where money is moved from one generic political committee to another, then to another — that make it difficult or impossible to determine who is funding a campaign. In this year’s legislative session, SB 5108 passed the Senate, but never got a vote in the state House. Sen. Andy Billig, D-Spokane, has sponsored that bill in the past, and in a text message Tuesday said he intends to bring it back. That feature would be in a “differentiated color so the box doesn’t disappear into the ad,” according to Carlyle. It could also have text directing citizens to the Washington Public Disclosure Commission (PDC), which oversees campaign-finance matters, for more information, he said. State law currently requires political committees to list their top-five donors when sponsoring ads about initiatives that total at least $1,000, or when making independent expenditures against or for a political candidate, according to PDC spokeswoman Kim Bradford. Those disclosures are often seen in small print at the very bottom of a mail piece, or at the end of a TV ad. Carlyle said he also wants to make sure political-action committees can’t hide behind long and innocuous sounding names, which can push the names of listed contributors further down on their communications. The campaign’s major donors, however, are Coca-Cola ($9.7 million), Pepsico ($7.3 million), Keurig Dr Pepper ($3 million) and Red Bull North America ($237,212). Schwartz added that the I-1634 campaign follows Washington law by listing its top-five contributors on all its election materials. The I-1634 campaign came close to breaking Washington state’s all-time record for most spending on an initiative campaign, but the corporate-driven campaign against Initiative 1631, which would establish a fee on carbon emissions, got there first. That opposition campaign campaign is funded largely by BP, Phillips 66, Valero, Andeavor (owned by Marathon Petroleum) and American Fuel and Petrochemical Manufacturers.